Close-up of the sole C418 fingerboard sign, at the junction of Nile Rd (C416), Bryants Lane (C419) & Clarendon Station Rd (C418). Source: Peter Renshaw, May 2007. 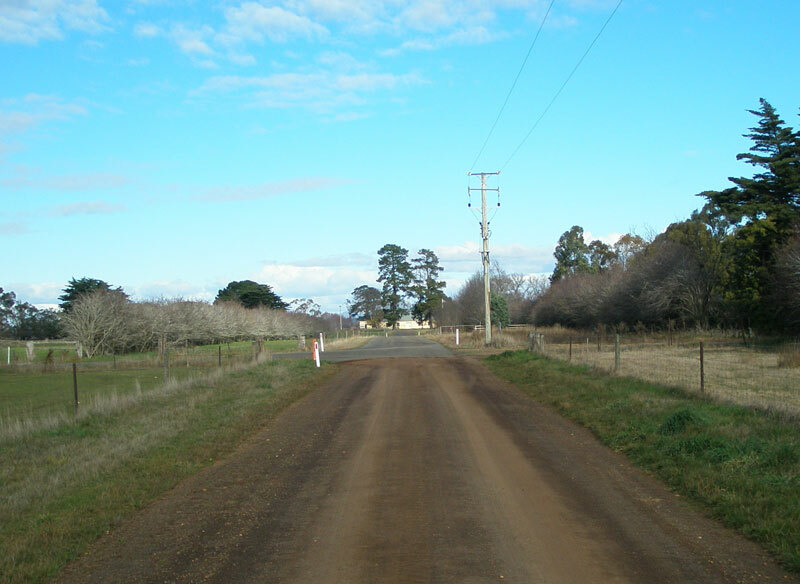 Route C418 is a minor rural route in the South Esk Valley, forming a loop to the east of C416 (Nile Road) and providing access to the historic Clarendon Homestead, south of Evandale. 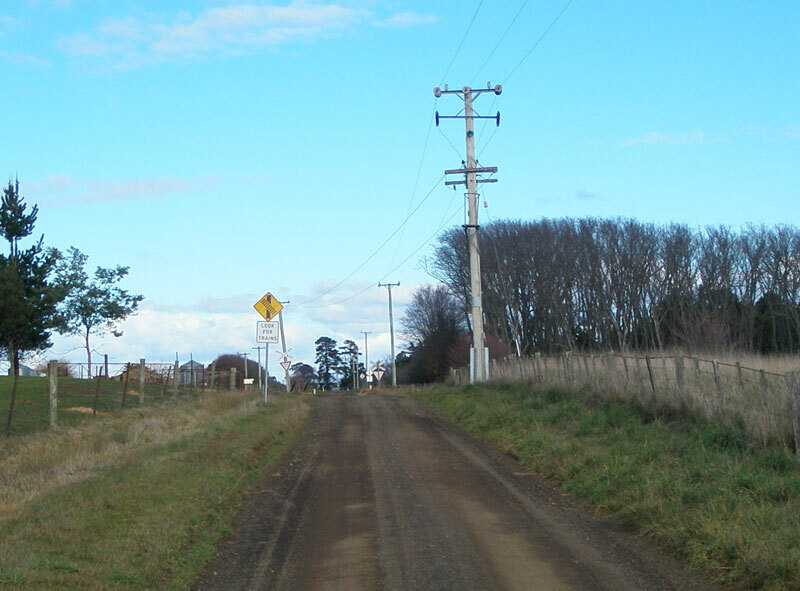 The southern leg of C418 (Clarendon Station Rd) is sealed, whilst the northern leg (Clarendon Lodge Rd) is a narrow, and in parts rutted, gravel road with two single-lane bridges and a poorly-aligned open level crossing. C418 is a member of the illustrious one-hit wonder club, incorrectly being signed only at its southern junction with C416. 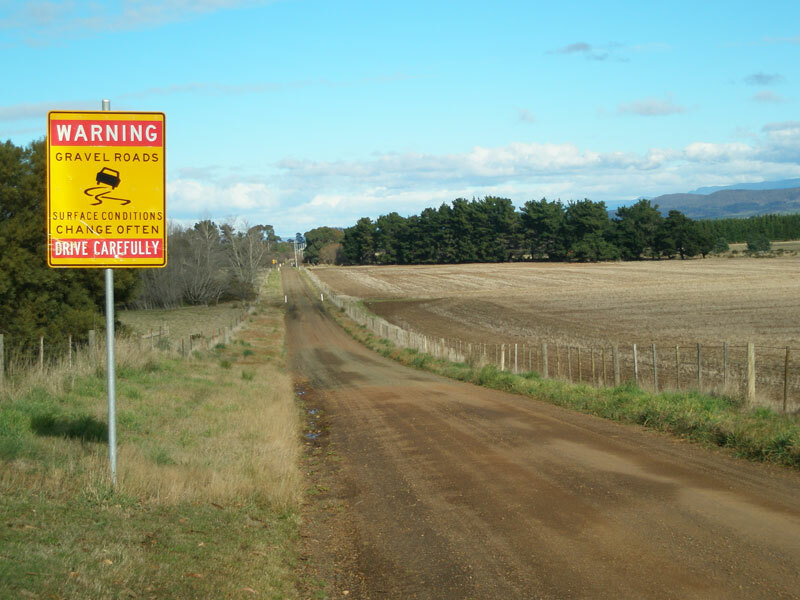 I would hinge my bets on the signs being removed by Northern Midlands Council due to some complaints from tourists over the quality of Clarendon Lodge Rd, also given that an alternative, sealed, access route (via Clarendon Station Rd) is available only 3km further south. C418 is also somewhat unusal (to those from the mainland anyway) in that it is not signed with a focal point - only a route marker. 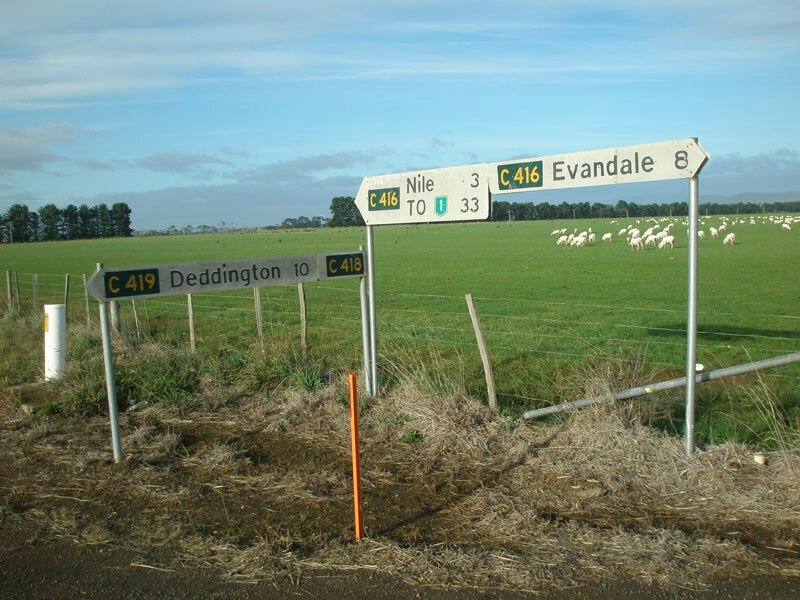 Fingerboard signs at the junction of Nile Rd (C416) & Clarendon Lodge Rd (C418), 5km south of Evandale. Not a mention of C418 to be seen unfortunately. 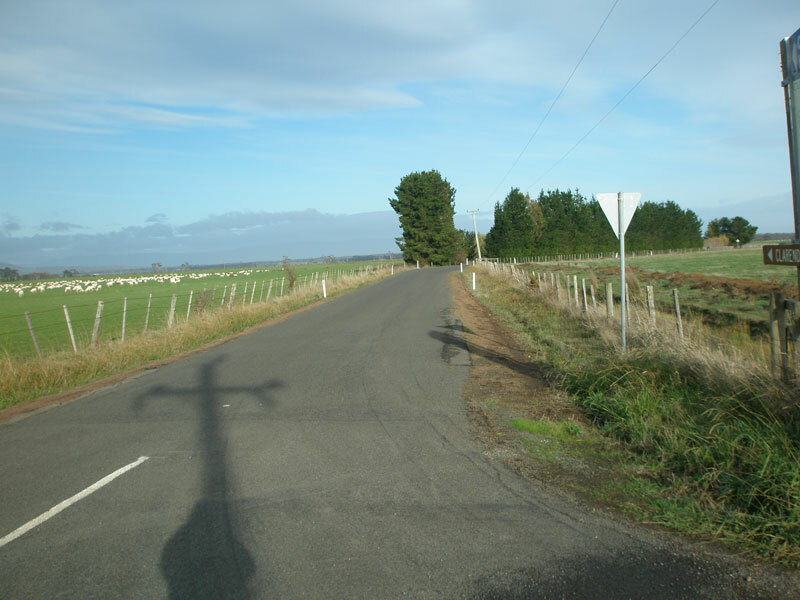 Nile Rd (C416) looking south at the junction with Clarendon Lodge Rd (C418), 5km south of Evandale. Note no sign of C418. Source: Peter Renshaw, June 2006. 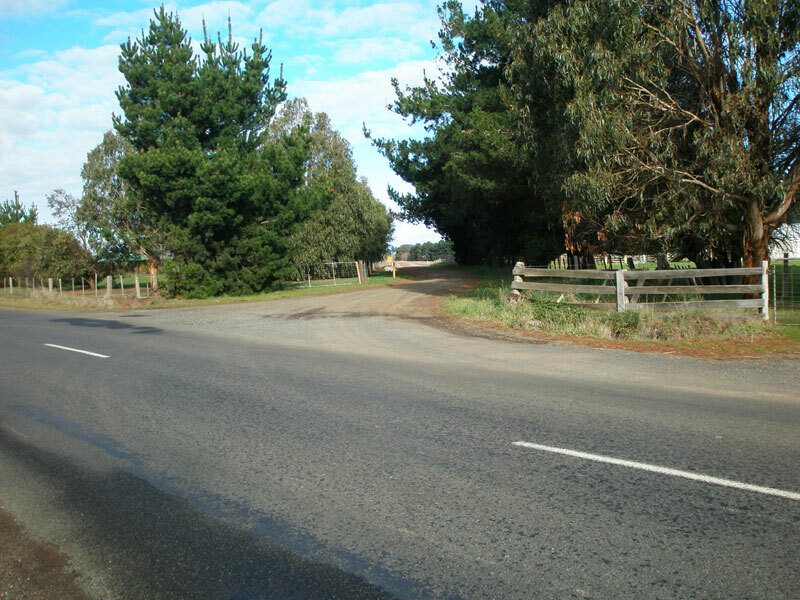 Looking south along Clarendon Lodge Rd (C418) from Nile Rd (C416), showing unsealed surface. Looking north along Clarendon Lodge Rd (C418) to the junction with Nile Rd (C416). Ominous warning of the condition of Clarendon Lodge Rd (C418), heading south from Nile Rd (C416). 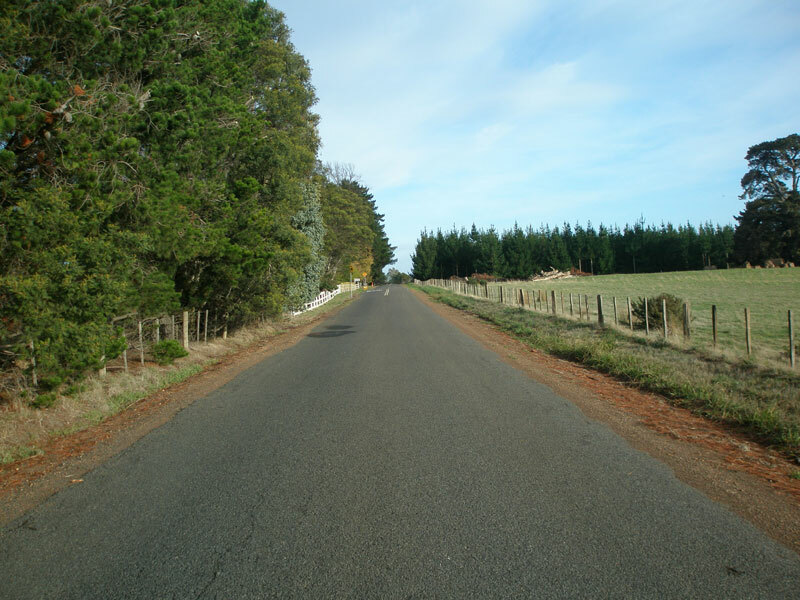 Clarendon Lodge Rd (C418) looking south between Nile Rd (C416) and Clarendon Homestead. 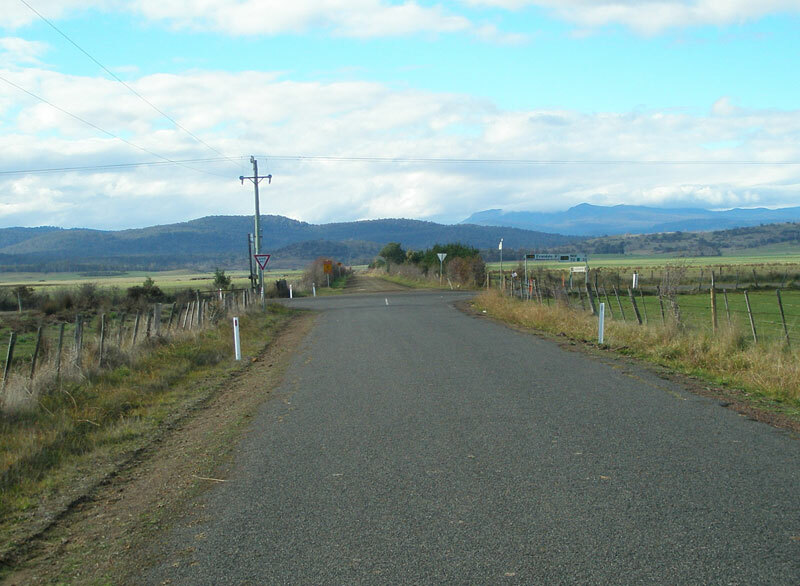 The main features on this section of the route are two single-lane bridges and an open level crossing of the Hobart to Launceston railway line. Clarendon Lodge Rd (C418), again looking south. 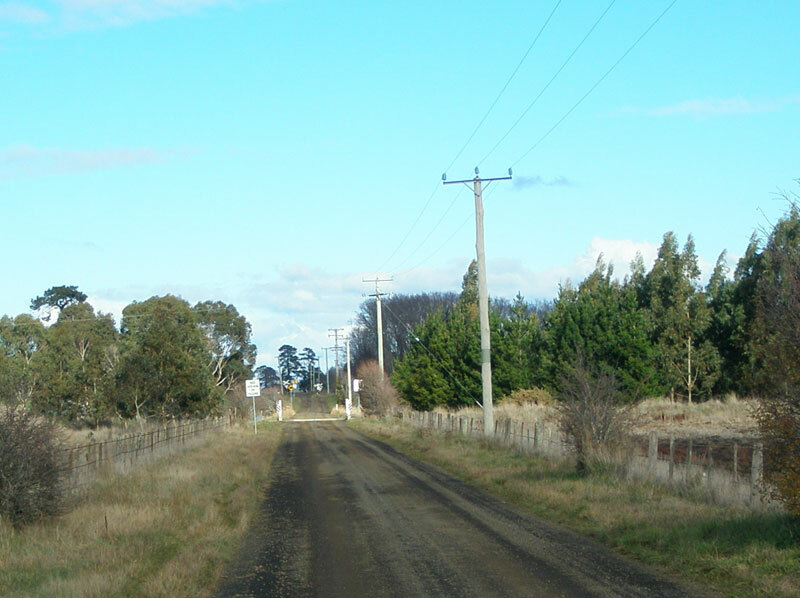 Clarendon Lodge Rd (C418) looking south to the open level crossing of the Hobart to Launceston railway line. Look how narrow Clarendon Lodge Rd is at this point. Clarendon Lodge Rd (C418) looking south to the junction with Clarendon Station Rd (C418). 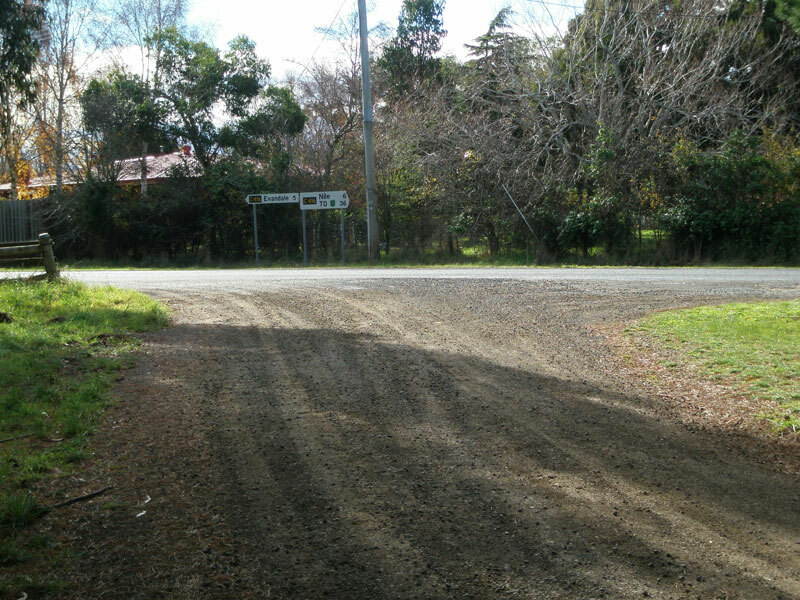 The sealed section of C418 comes in from the left, and the sealed pavement continues southward to Clarendon Homestead. Looking south at the junction of Clarendon Station Rd (C418) & Clarendon Lodge Rd (C418). 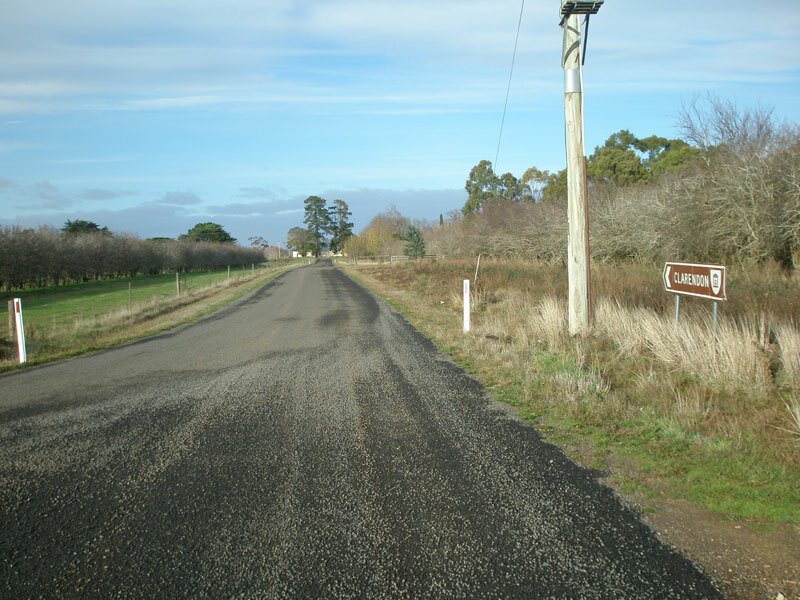 The Clarendon Station Rd section of the route is unsealed - the sealed Clarendon Lodge Rd comes in on the left. 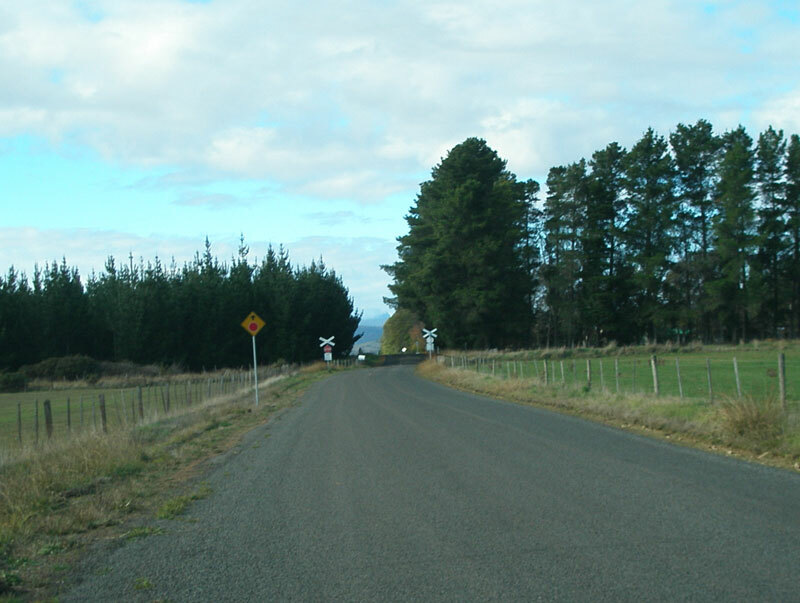 Note the tourist sign pointing to Clarendon Homestead, but no mention of C418. Clarendon Station Rd (C418) looking east from Clarendon Lodge Rd (C418) towards another open level crossing of the Hobart to Launceston railway line. 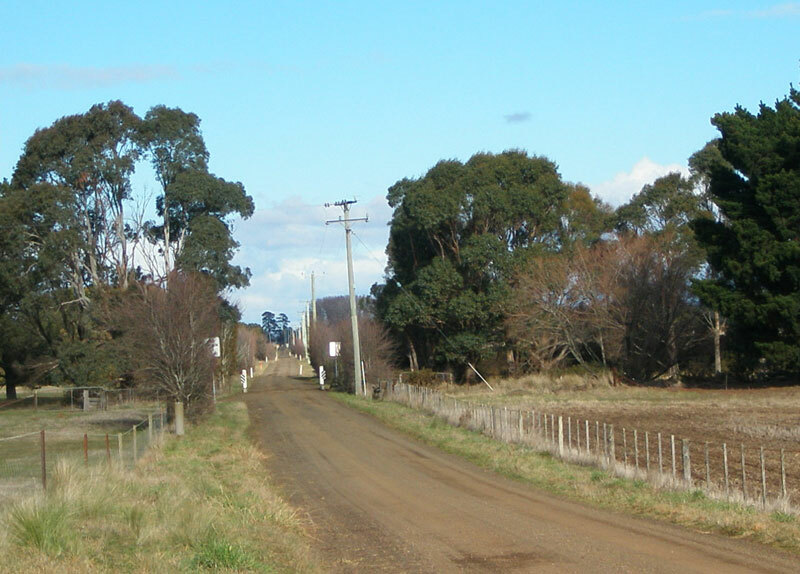 Clarendon Station Rd (C418) looking west to the level crossing with the Hobart to Launceston railway line. 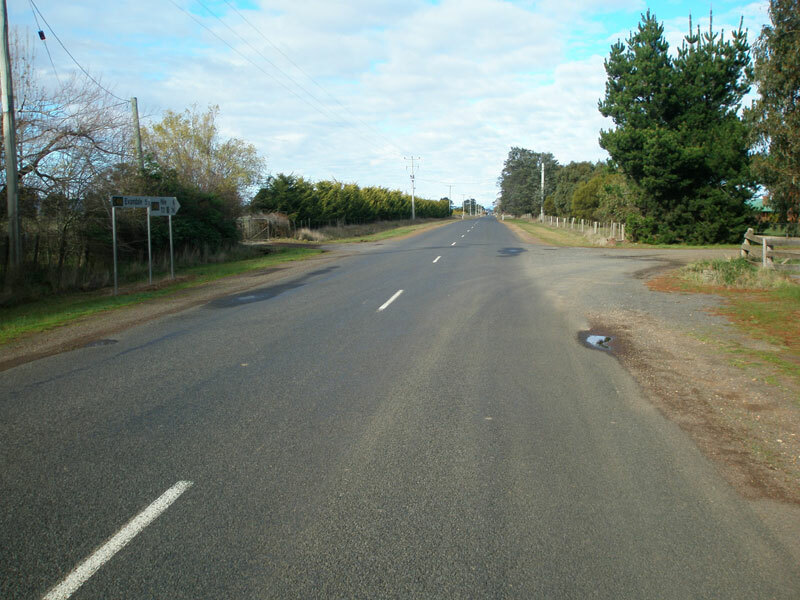 Clarendon Station Rd (C418) looking east, midway between Clarendon Lodge Rd (C418) & Nile Rd (C416). 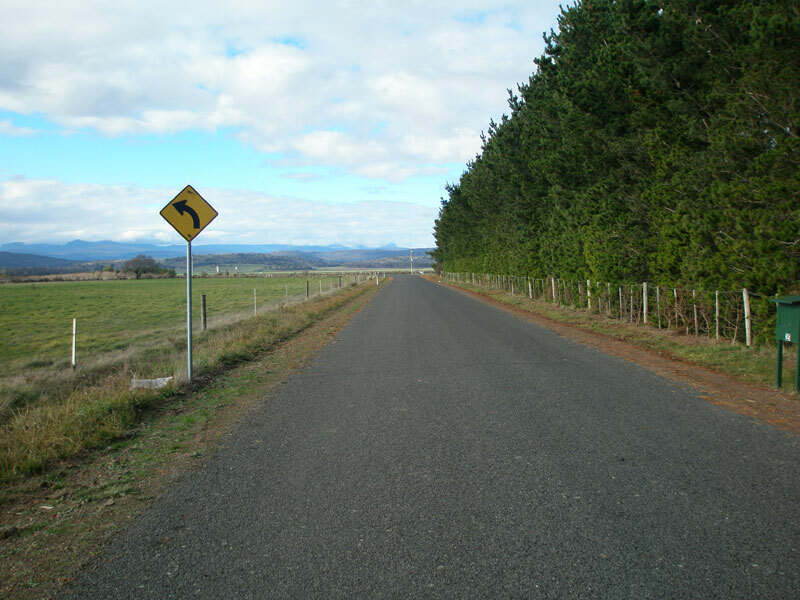 Note the classic Tasmanian windbreak on the right and the open agricultural land to the left. The final stretch of C418 - looking east to the junction with Nile Rd (C416) & Bryants Lane (C419). 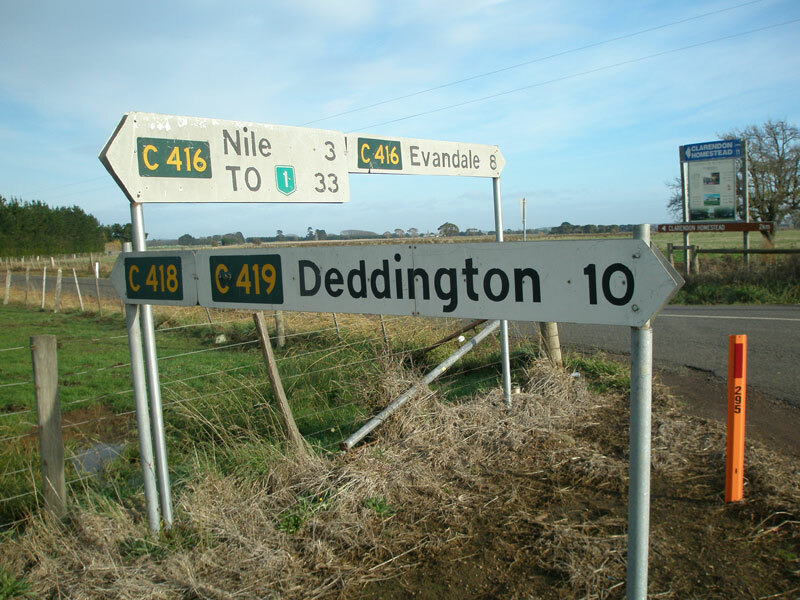 The road continuing straight through the intersection is the unsealed C419 which heads to Deddington. Clarendon Station Rd (C418) looking west from the intersection with Nile Rd (C416). 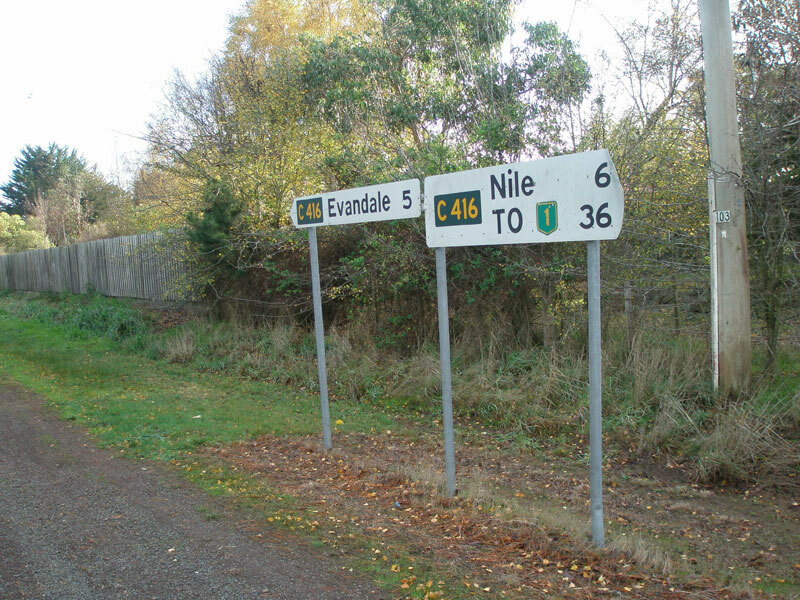 Fingerboard signs at the junction of Nile Rd (C416), Bryants Lane (C419) & Clarendon Station Rd (C418), showing the only mention of C418 still in existence. 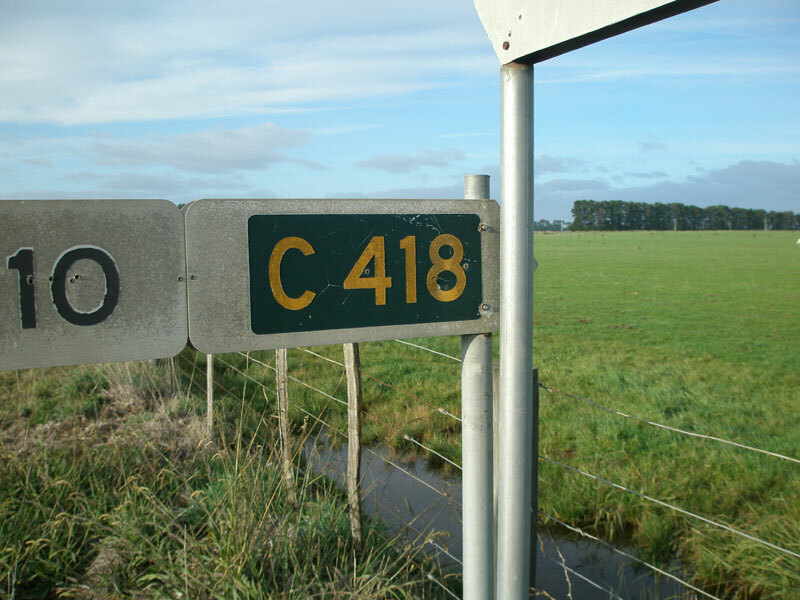 Close-up of the sole C418 fingerboard sign, at the junction of Nile Rd (C416), Bryants Lane (C419) & Clarendon Station Rd (C418).